As reported by DiGregorio of the Buckingham Center for Astrobiology at the University of Buckingham in an abstract , the results of his new analysis also contradict the reading by NASA mission scientists, according to the metal-colored and tubular microstructures in the stone called “Haroldswick” Gale Crater, which had housed a lake 3.5 billion years ago, most likely to be purely mineralogical or crystalline residues or the remains of cavities filled with fossilized sediments. DiGregorio had previously stated that, in his opinion, the properties of the structures correspond much more to those of so-called (fossilized) bioturbations. As Bioturbation geologists and biologists denote the through rooting and mixing (Turbation) from soils or sediments by living organisms. Perhaps the most well-known examples of these are the tubes and corridors that leave earthworms and shells on the ground (… GreWi reported ). General view of the Curiosity workspace with the MastCam on December 15, 2017 (Sol 1905). The position of the structures of the above microscope image is marked with an arrow. Click HERE to go to the NASA RAW data of the images. Now the astrobiologist comments on the NASA statement that the analyzes carried out since then of the sedimentary rock on site prove that the former lake was a freshwater lake and not a saltwater lake. “At the same time it is known that salty sediments are not of a metallic appearance. As DiGregorio further explains, the identification of terrestrial fossils (ichnofossils) includes the method of analysis using 3D morphology. He and colleagues have now studied the microstructures on Mars using a 3D photogrammetric image analysis program that allows to visualize and study structures from different angles. Most of the earth’s trace fossils are impressions left by organisms in the ground, passages, tunnels, shafts and chambers that later filled with sediment and petrified. Fossils of the earthly bioturbation described above can vary from a few nanometers to several meters, depending on the creatures that once caused them. In their study, DiGreGorio and colleagues followed the identification criteria for bioturbation described, inter alia, by Dirk Knaust and colleagues: “The color and texture of the structures on Mars are much darker than the surrounding rock. The elongated structures strikingly resemble Planolites and Thalassinoides constructions of the earthly Ordovician (around 485.4 – 443.4 million years ago). 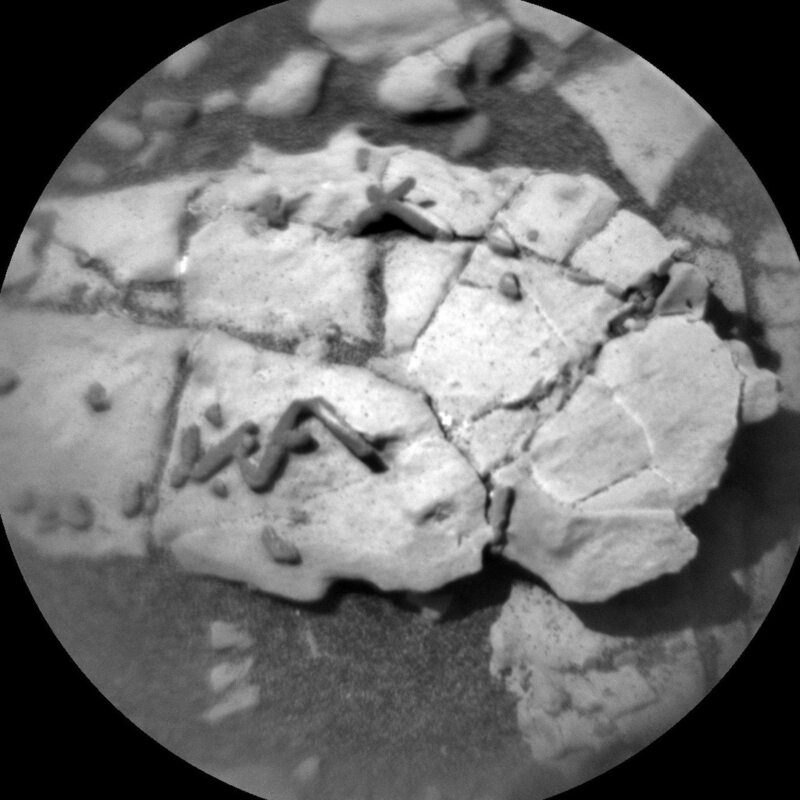 On closer inspection, the structures appear to dive into and out of the surrounding rock – just as examples of earthly bioturbation do. – DeGregorio will present all further details next year at various Mars conferences and in a detailed technical article.